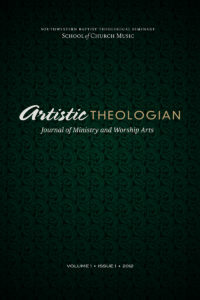 The Artistic Theologian is designed to provide a place for publication, research, discussion, and resources for those engaged in worship and artistic ministry. We hope it will create points of connection between worship leaders, pastors, church music scholars, theologians, and students preparing for ministry. The journal and its allied resources support the point of view that a church musician should be an artist and a theologian, and it addresses the need to increase dialogue between pastors and church musicians. This essay addresses the following question: Should pastors be learned in worship and music? 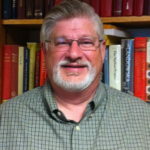 My answer offers a perspective arising from my experience and theological reflection upon ministry (over thirty years, about evenly divided between ministry as a pastor and as an academic theologian). My initial answer to the question is that a pastor certainly does not need to be a skilled musician in order to enjoy an effective ministry. Nevertheless, since right affection (including right worship) is at the heart of the Christian faith, and since right affection is both expressed through and evoked by the arts, and since the church is biblically required to employ certain arts in the execution of its ministry, then pastors should possess sufficient learning to lead the church wisely and knowledgably concerning the artistic productions that the church adopts in worship. I shall present my observations in a series of nine propositions. Philosophically, we are at a new moment in history. Today, most people are post-Realists, or Nominalists. Prior to Nominalism, the prevailing philosophies in the West were all variations on Realism. In those systems, Reality is a given, and perception is viewed as the ability to observe, in varying degrees, what is Real. Nominalism (from the Latin nomen, “name”), as a philosophy, suggests that there is no Reality, or that if there is Reality, it has no inherent meaning. To the contrary, what a realist calls “meaning” is his or her imputation of value onto an otherwise meaningless universe, somewhat analogous to how a critic might impute meaning to a canvas randomly covered with paint. As its own label suggests, “Nominalism” implies that words are mere “names” that humans give objects, but these names only reveal information about the “namers” and nothing about the objects so named.